The world's fastest portable Thunderbolt™ 2 storage drive with dedicated 4K enabled HDMI connector in the market. This professional Thunderbolt storage device comes with a set of preinstalled M.2 PCIe SSD modules, not only providing extremely fast data transfer rates but also plenty of storage capacity. The portable AKiTiO Thunder2 Storage-AV is fanless and noiseless, ideal for quiet environments. 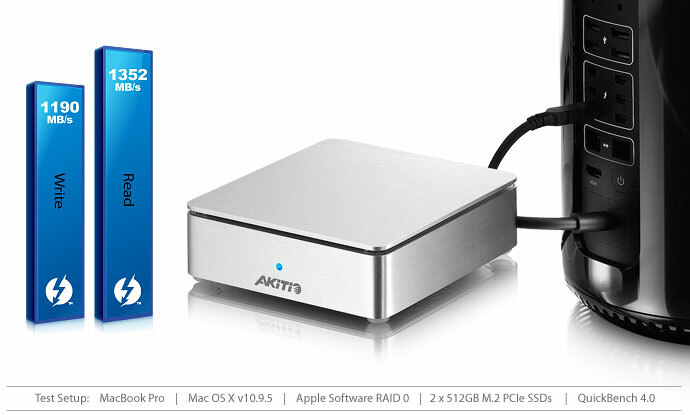 By incorporating the awesome Thunderbolt 2 interface and combining it with ultra fast M.2 PCIe SSD modules in a RAID 0 software RAID, the AKiTiO Thunder2 Storage-AV is ready to deliver an extremely fast throughput performance with just two drives. 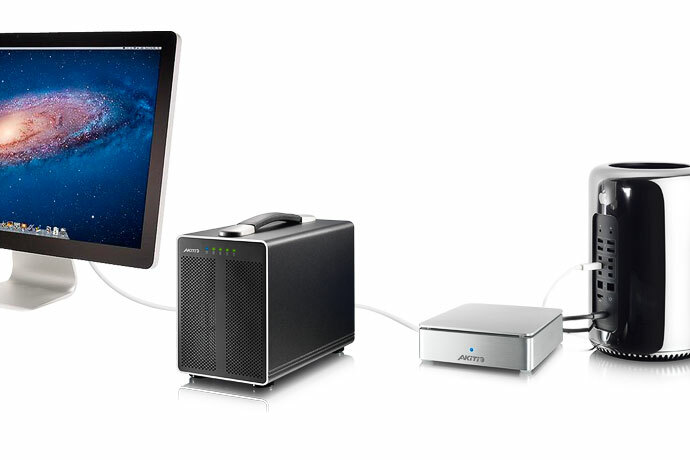 The second Thunderbolt 2 port lets you daisy chain up to five Thunderbolt devices together. You can attach additional external drives and even a display all connected to your computer through a single cable. With the dedicated HDMI 1.4b connector, you can easily connect your 4K display without the need of an additional adapter. 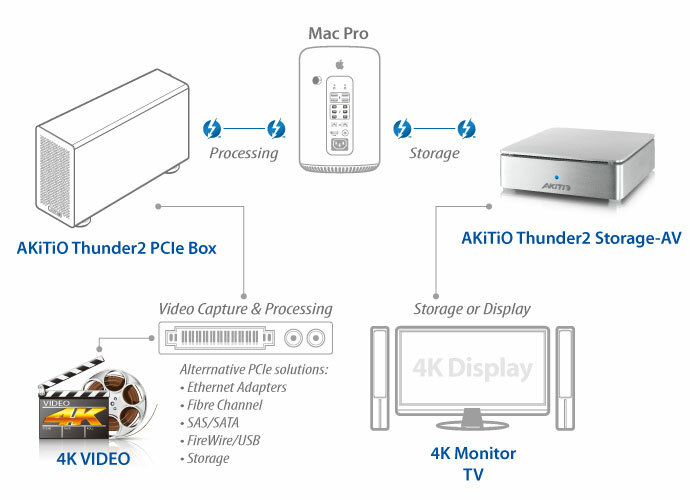 Thunderbolt 2 technology incorporates DisplayPort 1.2 support, which allows for video streaming to a single 4K video monitor. With the dedicated HDMI 1.4b connector, you can even add a second display, assuming that the first display is a Thunderbolt display.